Is there a better alternative to Teddy Floppy Ear: The Race? Is Teddy Floppy Ear: The Race really the best app in Arcade category? Will Teddy Floppy Ear: The Race work good on macOS 10.13.4? Teddy Floppy Ear: The Race ... Fling yourself into the cutest racing action ever. People of Animalville got a karting fever and you must help one of them succeed. 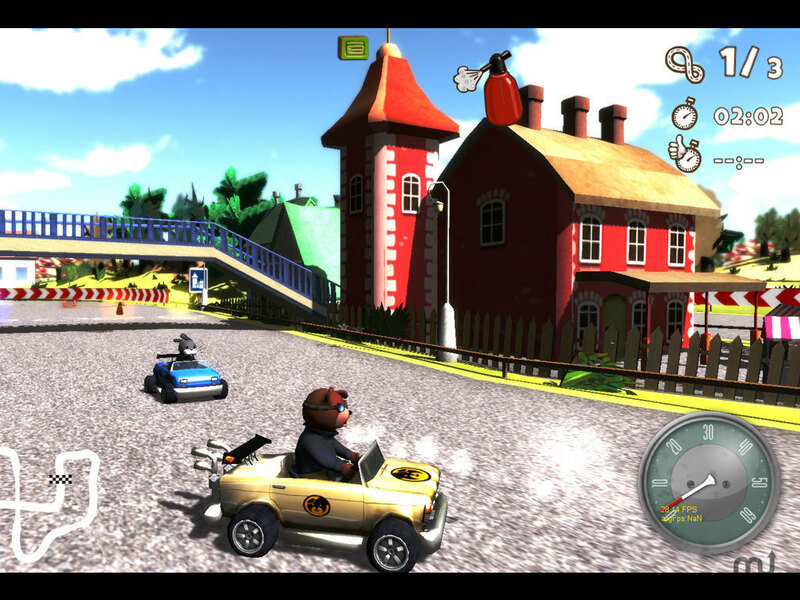 Take the wheel, choose a kart, decide which character from 'Teddy Floppy Ear’ universe you want, and start the wild ride! Compete all day long on nightly and daily tracks that span around the beautiful and colorful countryside. Play in one of many modes including Time Attack and Racing Season. Use power ups to gain advantage or slow down your opponents. Improve your vehicle’s appearance by tuning. Teddy Floppy Ear: The Race needs a rating. Be the first to rate this app and get the discussion started! Ten karts based on the popular cars from "behind the Iron Curtain"